Tourism Victoria promoted the Yarra Valley in 2004 with a catchy television advertisement, “Hide And Seek” using the song, “Run Rabbit Run”. The ad has been brought out of storage to be played during the Commonwealth Games being held in Melbourne. The Tourism Victoria campaign was created by Publicis Mojo Melbourne, with creative director Darren Spiller, copywriter Steve Jackson, art director Christy Peacock, and agency producer Corey Esse. Filming was done in Yarra Valley by the Revolver Film team including director Steve Rogers, producer Michael Ritchie, and director of photography Mandy Walker. Editor was Bernard Garry at Karl Marks, now at The Editors. Post production was done at Iloura. Music was mixed at Gusto Music. ‘Run Rabbit Run’, used in the soundtrack, was sung by duo Flanagan & Allen (Bud Flanagan and Chesney Allen), who became popular for their comedic work in Britain during World War II. The words and music for ‘Run Rabbit Run’ were written by Noel Gay & Ralph Butler for Noel’s show, “The Little Dog Laughed”. 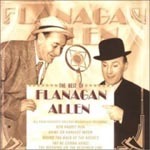 Flanagan and Allen made the song popular by adding lyrics referring to Adolf Hitler. Run rabbit – run rabbit – Run! Run! Run! Don’t give the farmer his fun! Fun! Fun! So run rabbit – run rabbit – Run! Run! Run! The actor playing the host/farmer is Rod Mullinar. Rod moved to Australia after a career in England. He has appeared in feature films Curse of the Tailsman, Dead Calm and Breaker Morant. His television work has included The Sullivans, Cop Shop, Homicide, The Flying Doctors, Hallifax, All Saints and Stingers. The ad won five awards at Melbourne Art Directors Club 2004 , for best soundtrack, best 45 second + television commercial, best cinema commercial, best in show, best client.